As far as how the PS3 game looks and plays, the demo that we checked out was already running well and certainly looked to be on par with the Xbox 360 game. The action is smooth and responsive, and the colorful visuals look as crisp as ever. 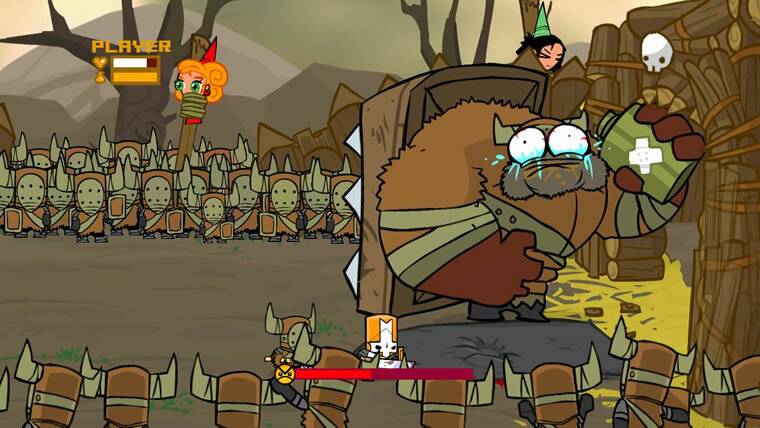 From the look of things Castle Crashers should be a good addition to the PlayStation Network library. A straight port of the Xbox 360 game will be a lot of fun, but we're hopeful that the PS3 version might also benefit from some additional content. We can always hope for new content, but I'd much rather have more people experience this fantastic title. No release date was given, but I hope we can expect this one soon! Page created in 0.5130 seconds.